The taster Costumed Life Drawing the class will explore the relationship between costume and the body with the aim of creating an immersive experience that combines carnival, costume and drawing. The class will be split into two halves with a short break in the middle, we will have two wonderful models who will transform into Carnival creatures for us to draw. 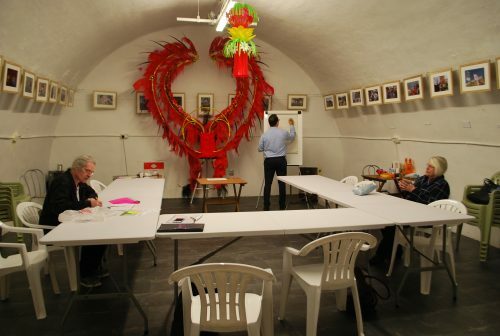 The class is relaxed welcoming people of all abilities and ages, we will begin the class with some short experimental drawing exercises to warm up and then progress into longer drawing poses. Materials will be provided including pencils, paper and drawing boards and their will be a box for donations.